Last week, we explored the joys of tea inspired by Sherlock Holmes and Harry Potter. 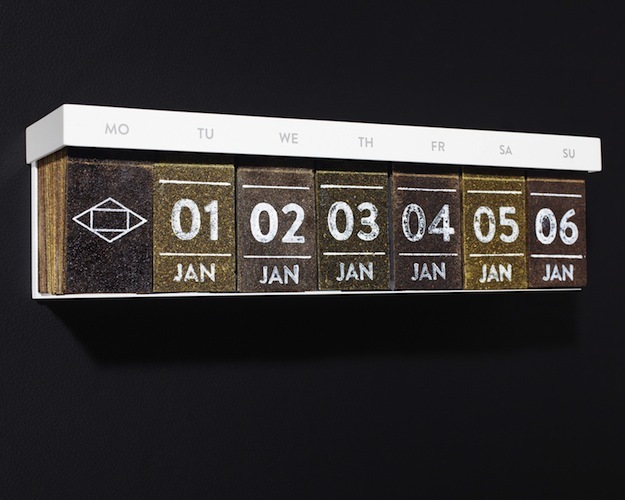 Now, let us consider the Hälssen & Lyon Tea Calendar, made from compressed tea leaves so that each day can be torn off, tossed into boiling water, and brewed to yield a single serving of tea. 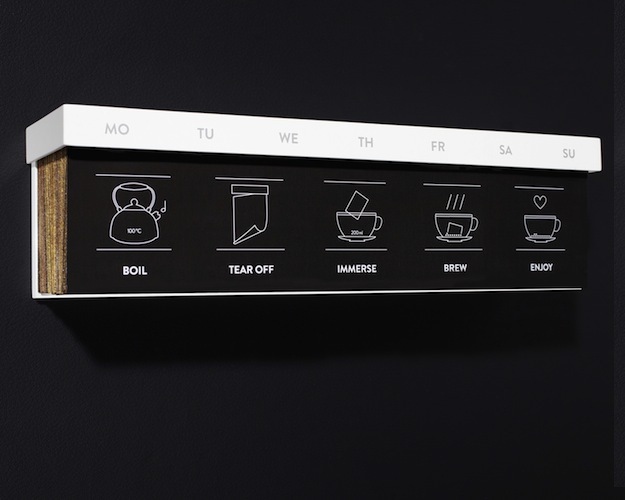 It’s like the Anglophile caffiene fiend’s every-day-of-the-year advent calendar, and it is genius. Unfortunately, this would-be perfect gift isn’t currently available for purchase—maybe in time for 2014? 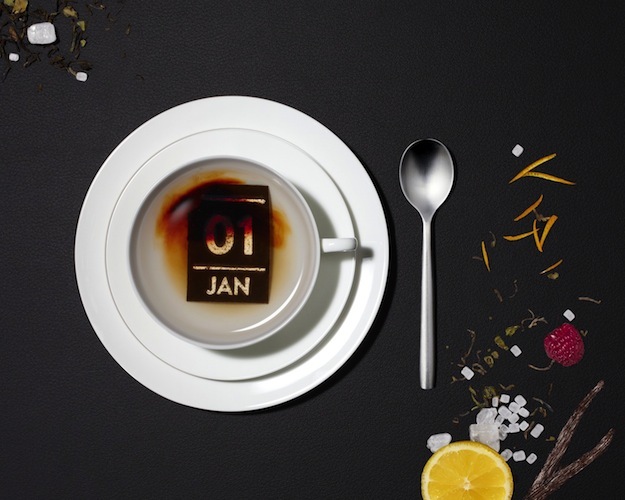 In the meantime, here’s to hoping someone makes a coffee calendar too.